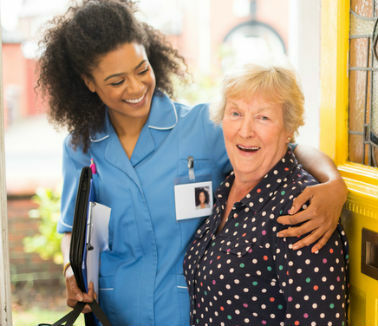 The Department of Health and Social Care has launched a national adult social care workforce recruitment campaign this week to raise awareness of and drive recruitment into the sector. The Every Day is Different campaign will to boost the sector's recruitment marketing and encourage under-40s to take up jobs such as care workers, therapists and activity co-ordinators. Charity leaders have however warned that it is not the silver bullet answer as solely focussing on recruitment, without also addressing staff retention, will severely limit the impact of the campaign. There are approximately 110,000 social care vacancies across England and this figure could rise after Brexit so filling that recruitment gap is essential to meet growing demand. George McNamara, Director of Policy and Influencing at Independent Age, said: “It’s encouraging to see the government demonstrating an awareness of the crisis in the social care workforce, but this should not be seen as a silver bullet. Caroline Abrahams, Charity Director at Age UK, added: “A Government-led social care recruitment initiative is warmly welcome and long overdue, but it needs to be coupled with a raft of measures to improve the status, terms and conditions of the job. There are more than 1.4 million people working in social care - a figure that needs to rise by 650,000 by 2035 to cope with an ageing population. Research shows that young people are the most likely to work in the sector so the campaign will include the personal stories of young people who have built careers in the sector.